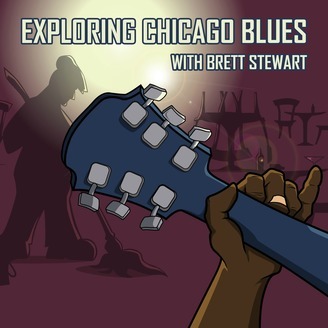 In this Tilting Windmill Studios production, Brett David Stewart investigates the past, present, and future of blues music in Chicago. Stewart speaks with a legendary producer, historians, veteran musicians, and fans to dig deep into the importance of this long-standing American art form. 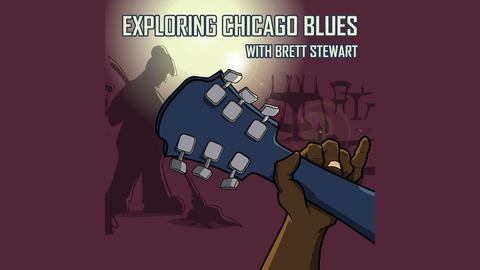 In this final episode of Exploring the Blues in Chicago, Brett David Stewart assembles a panel of fellow podcasters with an admiration for Chicago blues. Joined by Phil Rood and Peter Fisher, Stewart discusses helms a discussion about what makes the blues so special. How does it find its way into our lives? What makes it stay? At the end of the day, fans’ love of the blues keeps it alive. They buy records, go to shows, and share the music with friends and family. This finale offers a round table perspective of the importance of the blues in the lives of those impacted by its infectious spirit. Phil Rood is a podcaster and a talented artist. Peter Fisher is a podcaster often found on Galactic Netcasts and his current project is a weekly video stream, The Joy of Image Manipulation.